A while ago I put out a call to you on Instagram and Facebook to find out what you would like me to talk about. Thanks to all of you who responded with ideas! A couple of people ask about snacks: snacks that will give a boost of energy and sustain that energy, and filling snacks in appropriate portions. So, here’s a guide to how to snack smarter! First of all, let’s talk about the purpose of snacking… From time to time I’ll meet a client who doesn’t snack simply because they don’t get hungry between meals, but most often clients tell me definitely DO feel hungry between meals but don’t know what to choose. If you fall into the second camp, then you’re in the right place! 🙂 We don’t make wise food choices when we’re famished, so planning to have a mid-morning snack and a mid-afternoon snack can come in very handy for many of us, so we don’t arrive at our next meal feeling ready to gnaw our own arm off! What should you choose, though?? 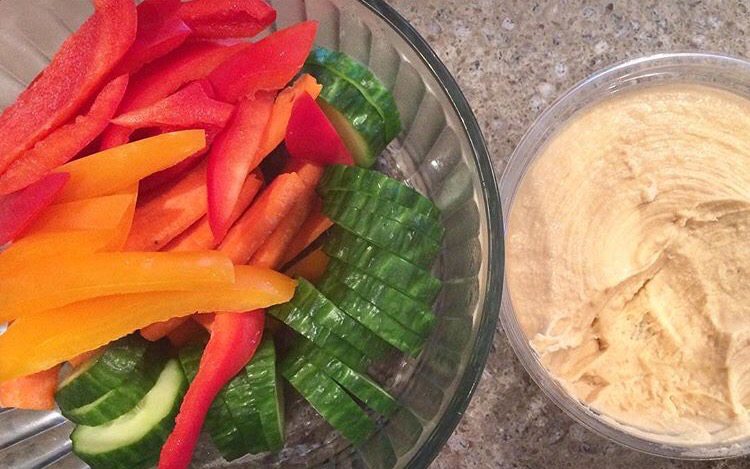 Decide what you want to have for snacks for the week. Check to see what you already have at home and be sure. Add the rest to your grocery list. There you have it: a straightforward guide to snacking smarter! What are your favourite snacks? What do you do to make snacking smarter more convenient? Comment below! Previous Post Guilty Pleasure or Guilt-Free?